In recent years, just-in-time (JIT) defect prediction has gained considerable interest as it enables developers to identify risky changes at check-in time. Previous studies tried to conduct research from both supervised and unsupervised perspectives. Since the label of change is hard to acquire, it would be more desirable for applications if a prediction model doesn’t highly rely on the label information. However, the performance of the unsupervised models proposed by previous work isn’t good in terms of precision and F1 due to the lack of supervised information. To overcome this weakness, we try to study the JIT defect prediction from the semi-supervised perspective, which only requires a few labeled data for training. 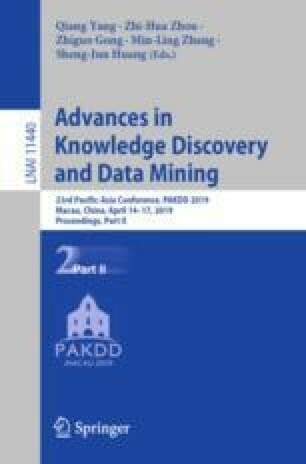 In this paper, we propose an Effort-Aware Tri-Training (EATT) semi-supervised model for JIT defect prediction based on sample selection. We compare EATT with the state-of-the-art supervised and unsupervised models with respect to different labeled rates. The experimental results on six open-source projects demonstrate that EATT performs better than existing supervised and unsupervised models for effort-aware JIT defect prediction. This paper is supported by the National Natural Science Foundations of China (Grant Nos. 61773208, 71671086), the Natural Science Foundation of Jiangsu Province (Grant No. BK20170809) and the China Postdoctoral Science Foundation (Grant No. 2018YFB1003902).